STSA President, Andrea J. Carpenter, MD, joined STSA staff in Naples, FL March 22-24 for the STSA 63rd Annual Meeting planning session. The 2016 Annual Meeting will take place November 9-12 at the Naples Grande Beach Resort. Meeting registration and housing as well as the Advance Program will be available in mid-June. Following a full tour of the Naples Grande Beach Resort property, Dr. Carpenter and STSA staff are confident that STSA meeting attendees and their families will enjoy all that the Naples Grande has to offer. 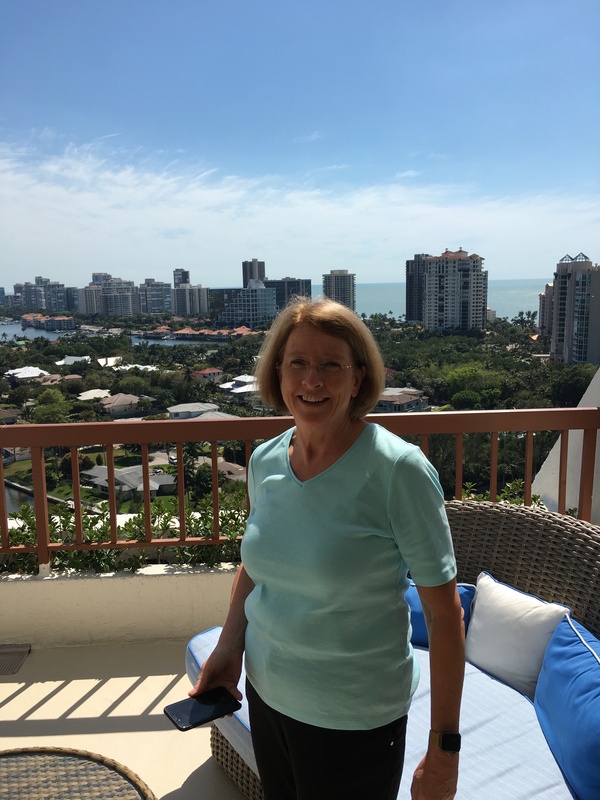 Dr. Carpenter pictured on the Naples Grande Presidential Suite balcony overlooking Naples, FL. 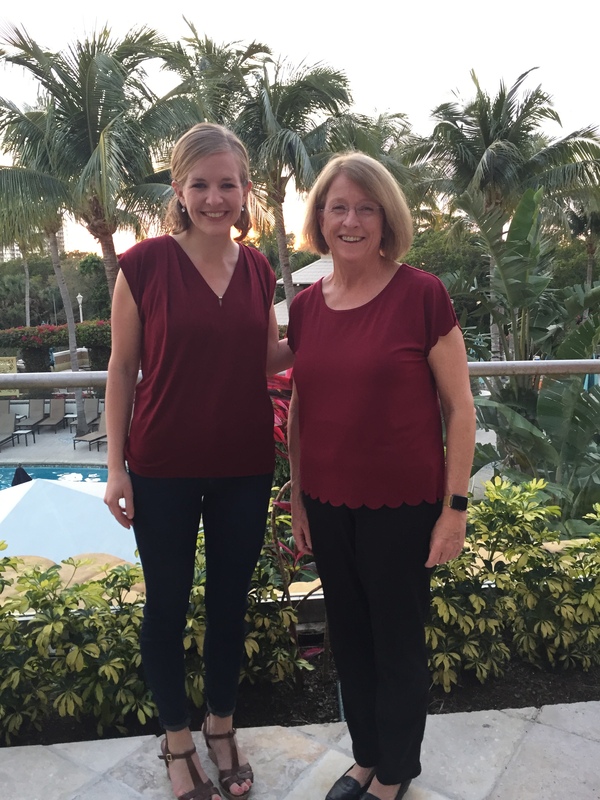 STSA Executive Director, Megan Drumm, and Dr. Carpenter posed before a lovely dinner at the Naples Grande. 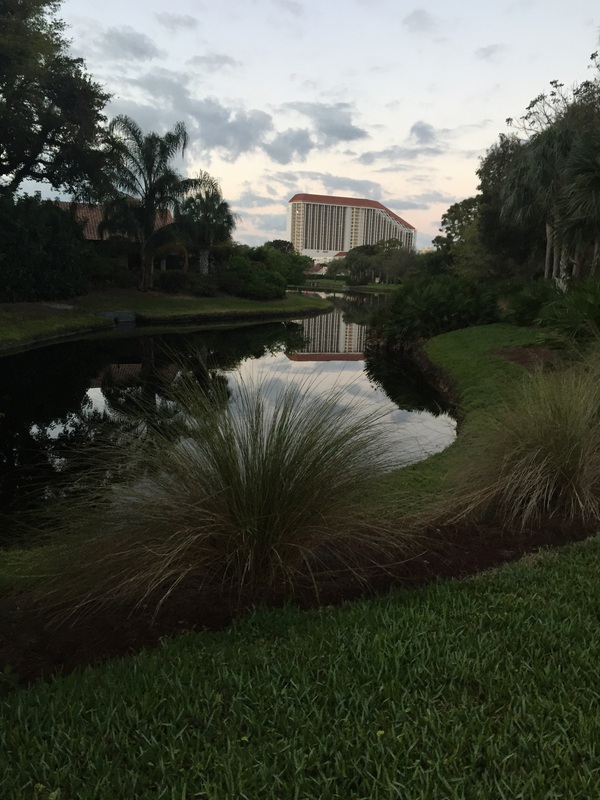 Dr. Carpenter snapped this photo of the Naples Grande during her run in a nearby neighborhood. The Saturday evening Awards Dinner & Dance will again feature live music and the attire will be attendees’ choice — cocktail or evening wear. New this year, STSA is planning a special kids-only party for children during the Awards Dinner so that they can have just as much fun as their parents. A Kid’s Club available daily for children ages 4-11, and baby-sitting options are offered through a certified service. Mark your calendar now and plan to reserve early. E-mail stsa@stsa.org to join STSA’s mailing list and be notified as soon as 63rd Annual Meeting registration and hotel reservations are available. The STSA 2016 abstract submission deadline is less than one week away on April 4. Review submission guidelines and access the submission site.